Two of my previous blogs, What is Dyslexia part 1 and part 2, focused on defining this learning difference or learning difficulty (LD.) 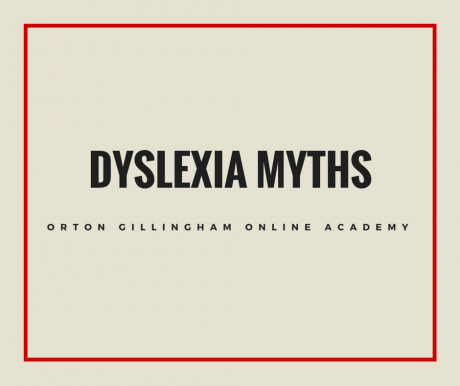 Despite dyslexia being formally recognized for over 80 years, there are still many myths that abound and I think it would now be helpful to consider what dyslexia is not. This can also be good information to have in mind when explaining dyslexia to your recently diagnosed child, or possibly their teacher, or other friends and family. People with dyslexia see letters or words backwards and upside down. I’ve heard it can be fixed by using a certain kind of font. So why do some of us continue to confuse ‘b’, ‘d’, ‘p’ and ‘q’ beyond second grade? Our brains are wired in such a way that when we see an object, a dog for example, we can tell that it is a dog regardless of which way it is facing, or whether we are looking from above or below. When letters such as ‘b’ and ‘d’ are introduced to a child they have to unlearn this mirror image agnosticism that their brain found so natural. Those 20% of us with the neurological difference we call dyslexia find this more difficult than the other 80%. Of course, vision problems can make reading more difficult, and can impact fluency and comprehension. However, vision problems do not cause dyslexia. 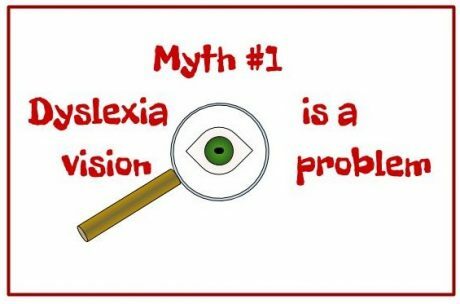 Vision therapy has a valid application, but it does not treat dyslexia and should not be used for this purpose. Children with dyslexia need intensive reading tutoring with a program based on the approach pioneered by Dr. Samuel Orton and Anna Gillingham. Please note: It is possible that children with dyslexia could also have vision issues. If this is suspected, an optometric evaluation can determine if vision problems are also affecting a child’s reading. This podcast featuring Dr Richard Selznick and Dr Michael Galloway, an expert in the field of vision, explains these issues far better than I can. 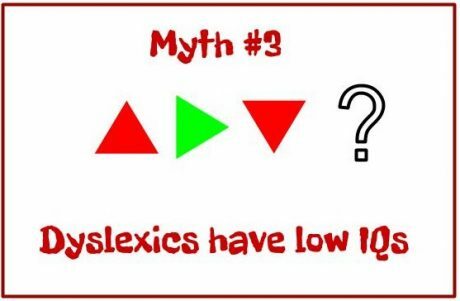 There is no real evidence that specialized fonts, like Dyslexie, help people with dyslexia to read faster and with more accuracy. This is because dyslexia is a problem with mapping the shapes of letters to their corresponding sounds (phonemes) and not a visual issue. This article by Guinevere Eden will provide more details if you want them. 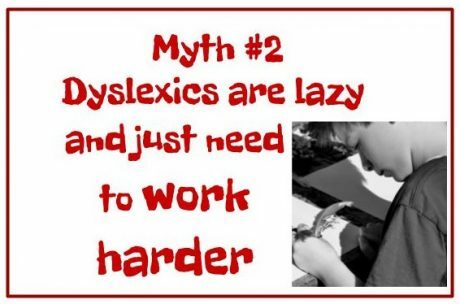 Dyslexia is caused by a lack of educational opportunity and poor teaching and laziness. If they just read more, they will will get better at it. Dyslexia is non-discriminatory, affecting children from both strong and weak educational environments. For students who haven’t been exposed to a literacy-rich environment, a full assessment of their reading and spelling will quickly determine whether their reading and spelling difficulties are due to dyslexia or some other disability or learning difficulty. If you want the science, functional-MRI images graphically demonstrate the areas of dyslexic and non-dyslexic brains that respond to language and reading cues. These studies show that children are born with dyslexia and that it is detectable well before they can read. Remediation can train their brains to use the more typical language processing areas, and many learn to be competent readers, but they will always have dyslexia. A student with dyslexia is often a slow reader and what they need is the right kind of remediation to improve their reading. Practice is essential for sure, but it is not as simple telling a child to buck up and read more. Dyslexia is a result of low intelligence or cognitive ability. There is zero correlation between dyslexia and intelligence. Children with dyslexia are just as likely to be above as below average IQ. If there appears to be a connection at all, it is that questions are asked when children with well above average intelligence perform well below expectation in reading and writing. For those with lower IQs the discrepancy may not be detected. With appropriate intervention or remediation, children with dyslexia have as much potential to be as successful as their peers. They just need to be taught in the way they learn. You can’t determine if a child really has dyslexia until they are in third grade, so it’s best to wait. It’s a development lag which will be outgrown. A child with dyslexia can be identified in kindergarten or first grade. If they were to receive the correct intervention at that time, it is very likely that they wouldn’t require any special education beyond fourth grade. 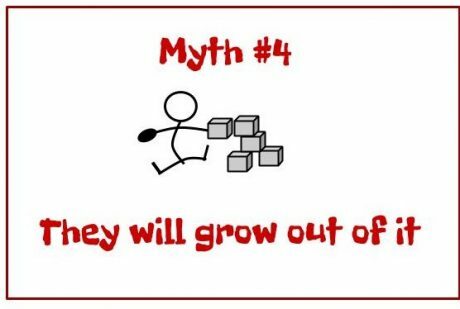 In stark contrast, by waiting until third grade, it is unlikely a child will ever catch up with their peers for reading fluency and accuracy. He or she will always be playing catch-up. Dyslexia is not a developmental lag. As mentioned above: Children are born with dyslexia and they will always have it. 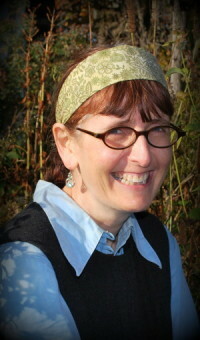 Sally Shaywitz M.D., author of Overcoming Dyslexia and lead scientist in The Connecticut Longitudinal Study, followed 445 children from kindergarten through to adulthood. The reading and intelligence of all participants was tested and it was demonstrated that 20% of these children were reading below grade level, but less than one third of these had been identified by their schools and were receiving help. Reading difficulties diagnosed after third grade are much harder to remediate. Up until third grade children are learning to read, and after that they are expected to be reading to learn. Students with dyslexia however are still learning to read after 3rd grade, but the mainstream classroom no longer devotes time to teaching them how. The brains of children less than ten years of age, are more plastic and thus easier to change and remediate. Failing to help children at a younger age causes an enormous amount of emotional stress and loss of self esteem. Remedial help for older students is harder work, less effective, and costs a lot more money. Dyslexia will certainly not be outgrown. Dyslexia requires a medical diagnosis. 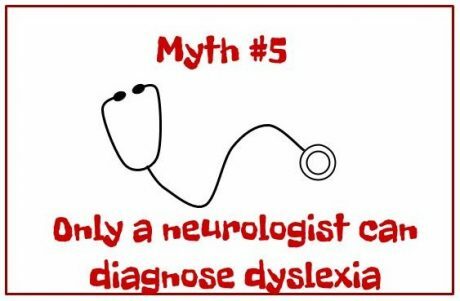 Only a neurologist can test for and diagnose dyslexia. Dyslexia is not a medical condition; it is a brain-based processing difference. In plain English, the way the brain is wired makes it harder for students to learn in in a traditional manner. It does not require medication and there are no medical interventions that will help. Despite its being neurological in nature, neurologists rarely assess for dyslexia. The first visit visit to a neurologist’s office usually takes about 30-45 minutes. Most of that time is taken up with gathering a detailed history about the child and their problems. Any time remaining will involve the child going through a series of neurological-function screening tasks, for example, walking along a line painted on the floor. This allows the neurologist to detect any neurological irregularities. Diagnosing for dyslexia by contrast, requires a an academic evaluation. In future blogs on dyslexia screening and evaluation, I plan to explain what that evaluation will include. I will say here that these tests generally require at least two hours with the child, plus further time to score, interpret, document, and evaluate the results. The way a child responds to words and text allows a professional, such as an educational psychologist, to determine if the child presents with dyslexia. As well as educational psychologists (including school psychologists,) consider approaching reading and learning specialists (such as Learning Disability Teacher Consultants, or LDTCs) who do this type of testing on a regular basis and know about this type of academic evaluation. Speech and Language professionals may also be helpful, but they generally don’t use the full range of academic tests that are necessary to diagnose dyslexia. Making accommodations for dyslexia gives a child an unfair advantage. Although reading accuracy can be improved with good multisensory structured language intervention, students with dyslexia can still struggle. Reading requires a lot of concentration, so it is tiring, and they may struggle to comprehend complex sentences. If a student is allowed to ‘ear read’ rather than ‘eye read’ text, using services such as Learning Ally audio textbooks, or text-to-speech on their computer, it will allow them to keep pace with their peers. Ear-reading can also support their vocabulary development, allow them access to materials at their grade level, and get them excited about books. 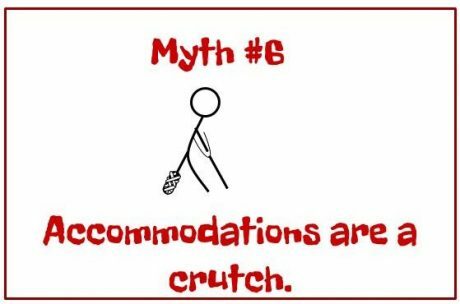 Accommodations allow students with dyslexia equal opportunity in the classroom, and can enable them to demonstrate their knowledge of a topic without being held back by their disability. Accommodations can be as simple as extra time for test taking or access to an electronic dictionary, or they can be more technology intensive, like text-to-speech and voice-typing. Accommodations are certainly not a free pass when used appropriately. Scientists don’t really know what dyslexia is. Dyslexia is not rare and it is real. Brain imagery studies can clearly detect differences in how the brain develops and functions in dyslexic and non-dyslexic brains. The Connecticut Longitudinal study that I referred to earlier, indicates that reading disability affects one child in five. That means that nearly every family in America has been touched in some way by a reading disability. We have a clear description of what dyslexia is, and the definition adopted by the International Dyslexia Association in 2002 has been accepted by the many states which have passed laws requiring screening and appropriate support and remediation. So this definition can and should be used by school districts in those states. 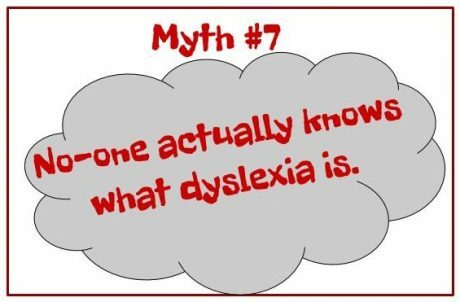 For a deeper dive into this definition please the first of my “What is Dyslexia?” blogs. Here is that definition again. Many of the myths I have discussed here are frequently heard, but none of them are true. It is very important that they be dispelled so that those of us who care for and teach children with dyslexia can obtain a clear understanding of the condition, and go on to seek screening, formal assessment, accommodations and remediation. 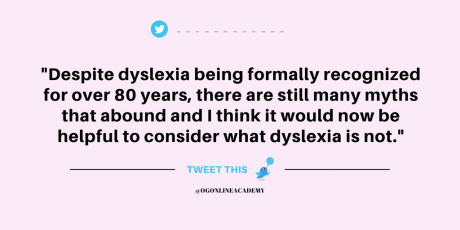 Only then can those 20% of students with dyslexia be expected to succeed academically and find fulfilment and satisfaction in their adult lives.